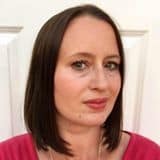 As it is now so cold and chilly, this week I wanted to make a dish in my slow cooker that would warm me up. I also didn’t want it to be too fatty or high in calories, as I am trying to eat well currently. 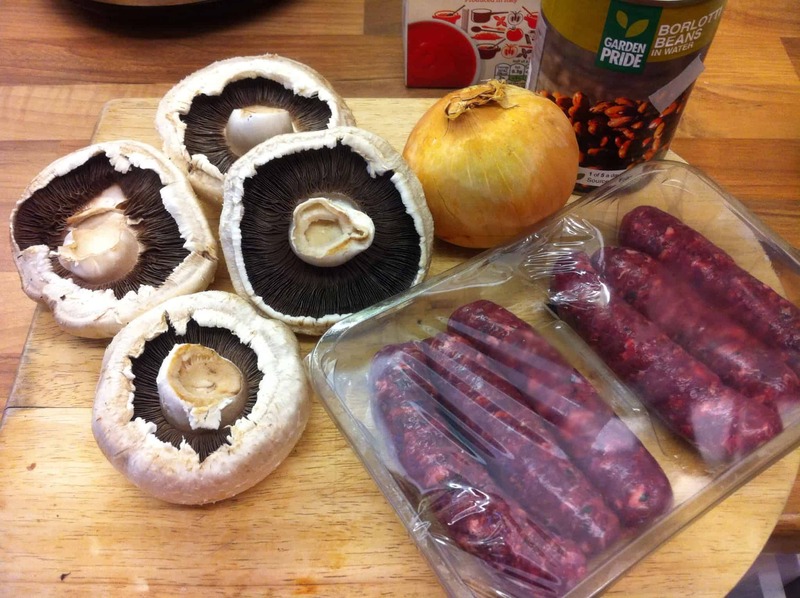 A sausage casserole was my first thought, but I recently tried venison sausages for the first time and found them very flavourful, and they are also very low in fat. So I decided to incorporate the venison sausages into this dish. Instead of cannellini beans I thought borlotti beans would go well in this dish, and I have had a tin of them in the cupboard for a while waiting to be used! I also used large flat mushrooms, which have quite a meaty texture, and stand up well to long cooking, to add a chunkiness to the casserole. The flavours in the dish worked really well, as they are quite simple, and the casserole was delicious served simply with some bread and butter to mop up the juices. It would also be good with buttery mash and a green vegetable. Chop the onion and mushrooms and place them in the slow cooker. Pour in the passata and stock. Mix well to combine the ingredients. 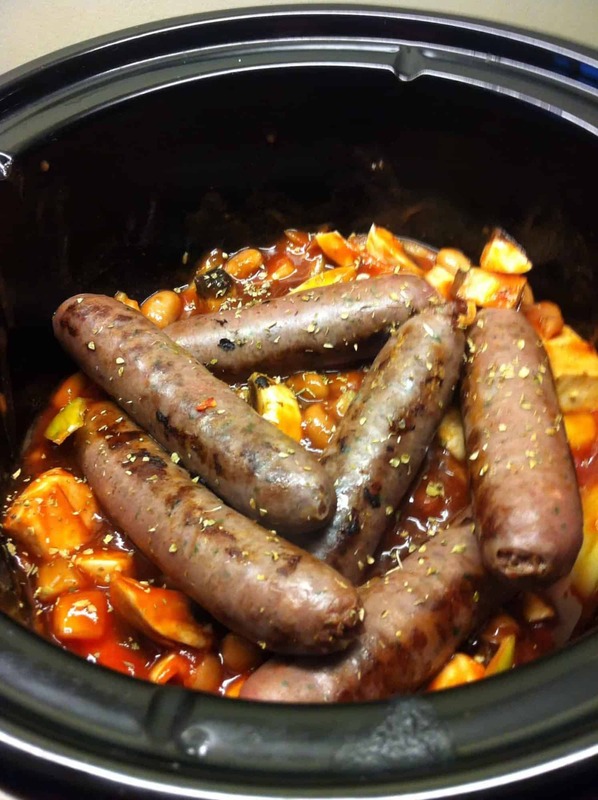 Brown the sausages in a hot pan, without oil, and place them in the slow cooker. Sprinkle on the herbs, and cook on low for 6-8 hours or on high for 3-4 hours. 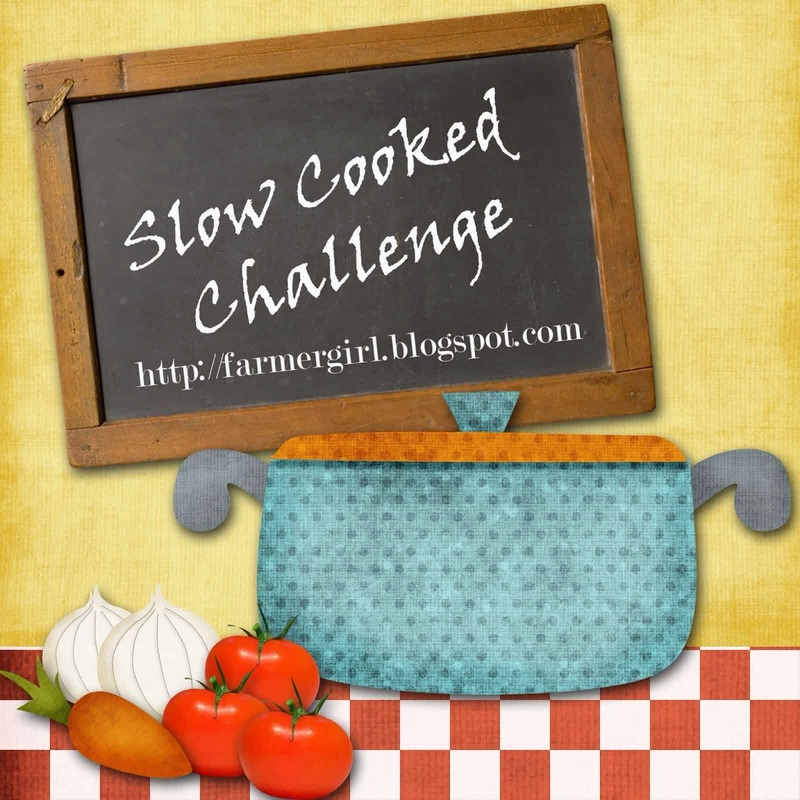 I am linking up with Janice from Farmersgirl Kitchen and her #SlowCookedChallenge. This month the theme is St Andrew’s Day. I hope this dish would be suitably warming for those living north of the border on St Andrew’s Day! I am sure some good Scottish venison sausages could also be used in the casserole, though I must admit the ones I used were from New Zealand this time. Do I add beans with water that comes with beans? What happened to the beans? Ah yes, well spotted! I think they were added at the start. Will amend the post asap! Beans still not in ingredients or method … ? 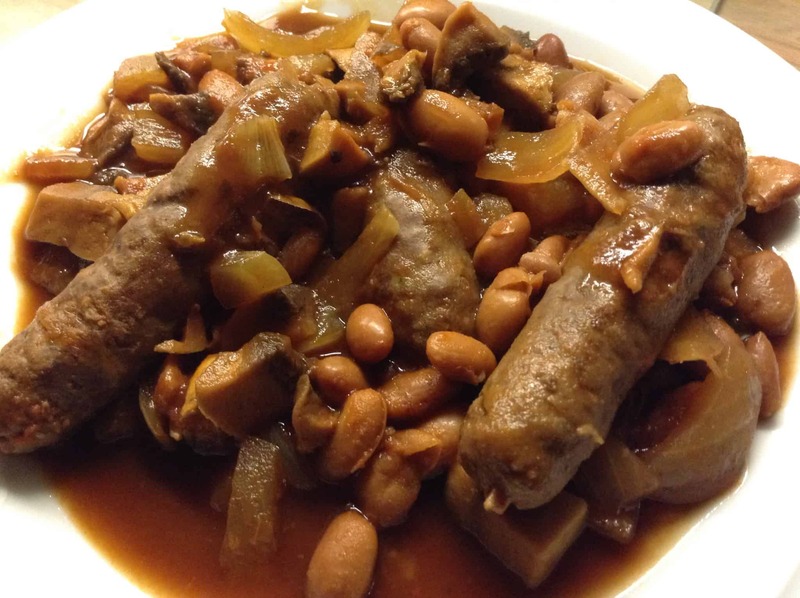 This looks great, sausage and beans are a great combo! Thanks Jen, you could add cranberries I’m sure as well, your favourite I believe!